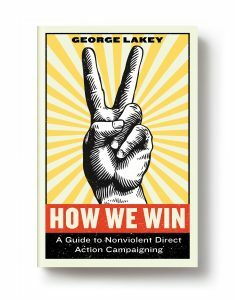 In this webinar, George Lakey, a long time social movement organizer and the author of How We Win: A Guide to Nonviolent Direct Action Campaigning, shares some of the key lessons he’s learned about how to organize powerful, strategic, and effective movements. The first half of this one hour webinar is an interview with George by ICNC staffer Steve Chase, which is then followed by an engaged Q & A discussion with participants. As George notes, the nonviolent direct action campaign is an art form that includes not only strategy and tactics but also the organizational culture of the initiating/leading campaign group, which needs to be a “learning organization.” In many situations the goal is not only the campaign’s own “win,” but also stimulating a social movement and even a movement of movements for fundamental social transformation. Activist: George Lakey’s first arrest was for a nonviolent civil rights sit-in in the 1960s. Since then, he has been active in a number of social movements and campaigns, including co-leading a sailing ship with medical aid to Vietnam in defiance of the U.S. war, campaigning with others in the LGBTQ community, organizing Men Against Patriarchy, and leading a statewide cross-race, cross-class coalition to fight back against Reagan. He has served as an unarmed bodyguard for human rights defenders in Sri Lanka, and recently walked 200 miles in a successful Quaker direct action campaign against mountaintop removal coal mining in Appalachia. In March 2018, he was arrested in the Power Local Green Jobs campaign demanding that the regional energy utility start a community solar program targeting poor neighborhoods. Educator: George also recently retired from Swarthmore College where he was Eugene M. Lang Visiting Professor for Issues in Social Change. He created and managed the Global Nonviolent Action Database research project that includes over 1100 campaigns from nearly 200 countries. 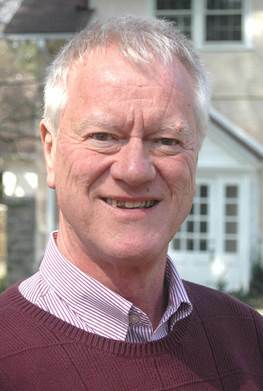 George has also held teaching posts at Haverford College and the University of Pennsylvania. In 2010 he was named “Peace Educator of the Year.” As a long-time activist trainer, he has led over 1500 social change workshops on five continents, and he founded and, for fifteen years, directed Training for Change. Writer: Since the 1960s, when he co-authored Manual for Direct Action, George has published ten books on how to make progressive social change. In 2010, he published his authoritative text on adult education, Facilitating Group Learning (Jossey-Bass). More recently, he wrote Viking Economics (Melville House, 2016) on the Nordic model of political economy, and How We Win: A Guide to Nonviolent Direct Action Campaigning (Melville House, 2018). In addition, George is a columnist for the online magazine Waging Nonviolence. Q: How are you able to ensure that people would maintain nonviolent discipline? A: There are multiple methods that have been effective, and more yet to be invented. Here are a few: train peacekeepers/marshals to create presence at likely trouble points (for example (1) where police/soldiers are most tense or attackers likely to launch) and (a) model NV behavior, (b) intervene at the point of rising tension or actual fighting; (2) ask everyone joining the action to sign a card outlining the discipline, (3) keep in mind tactical moves that make a difference like calling on people to sit down when tension reaches a certain level. These and more that have been highly effective are described in How We Win. Q: Isn’t direct action just about putting out fires? How do we get to the source of the fire? A: Direct action can be only putting out a fire, which is why I wrote the book – to show how it can be much more. A local workplace strike can resist reduction of wages, for example, but going on the offensive and striking to increase wages can yield an inspiring victory and spur others to do likewise, as in the current wave of teachers’ strikes in the U.S. A series of such campaigns turns the struggle of that sector into a movement, and a movement can win larger victories even when some of its constituent campaigns fail to win. Moreover, a winning movement inspires other sectors of the population (say, environmentalists, women for reproductive rights, gun controllers) to go on the offensive and wage their own campaigns and in that way each create a more dynamic struggle movement, in turn stimulating other sets of campaigns that turn into a movement. At that point it often becomes possible to join some of the movements together (I explain how in the book) into a movement of movements, which puts us into a very different power position and at last creates the opportunity to go after the source of the fire. Like pretty much everything else in life, one needs to proceed by steps. Nobody achieves a big goal by one leap. The steps become meaningful, however, if there is an understood and dynamic sequence – in short, a plan!!! Q: What advice does George have for the Animal Justice movement? Specifically given the oppressed demographic don’t have access to direct communication with the public and so the movement relies entirely on advocates. Which changes the dynamics, eg police backlash is against advocates not the affected ones themselves. A: Even though I’m a vegetarian I haven’t studied this situation in depth, for example done a power analysis that reveals what the points of vulnerability are of the institutions that engage in cruelty to animals. Developing a sound strategy is helped a lot by doing such an analysis, and also an analysis of what the assets are of the advocates, including the asset of widely-perceived ethical high-mindedness. Q: What’s the one best book to read about Gandhi’s strategic thinking? A: Gandhi as a Political Strategist, by the foremost scholar in the field, the late Gene Sharp. Q: How have interpretations of political strategies changed since the time of Gandhi compared to today? (a) One way some struggles have lost ground compared with Gandhi’s day is on the question of positive vision: what is the goal of the struggle? Gandhi was inspired by the direct action wing of the woman suffrage struggle, for example, where the vision was quite clear: empowerment of half the population through gaining the right to vote. For India, empowerment of a subcontinent through independence from the British Empire. (Gandhi had a whole lot more vision than that, as well.) In contrast, many Americans have become used to direct action as “resistance” to trends they don’t like, and “protest” against evils; a posture that worships reactivity. My book shows what a huge deficit that creates, strategically and in terms of morale. In short, many Americans have lost ground strategically in that respect. (b) One way many strategists have gained ground is learned the strategic value of tapping the cultural vein we might call “the merry prankster.” Watch the film “Bringing Down a Dictator” which reveals that strategy operating in Serbia by Otpor, or read my current article in WagingNonviolence.org that draws current examples from several countries: “How to fight fascism from a position of strength,” Feb 15, 2019. Tactics reflecting light-heartedness contrast with the typical grimness of direct action tactics in Gandhi’s day. I hope you’ll write a book on this subject of what we’ve learned (and forgotten) since, say, the 1930’s and ‘40s. Q: There was a lot of talk about the contributions of Gandhi to India’s independence movement. In your belief, do you think that Gandhi achieved his goal of a “united India”? People point out to Partition… your thoughts? A: Clearly Gandhi was deeply saddened by this failure. Nor was it his only failure. He early on decided to prioritize the struggle for national independence over the need for class struggle, despite his profound commitment to equality. (He said inequality is the root manifestation of violence.) His stated hope was to live a long time after India became independent so he could lead the class struggle (including the version called Untouchability), and that’s why he, in contrast to other “Fathers of their country” like Mao and Ho Chi Minh and George Washington, refused to take the leadership of India’s new government. All the more tragic that he didn’t continue to live and endow the equality movement with his charisma, and of course the class struggle remains heavily on the agenda of his beloved India (as it does in my own country). Q: The 2016 election has resulted in many new folks becoming active, and a hunger for nonviolent strategies. Technology tools have also accelerated the speed of organizing. How do you feel we should best leverage this special “movement moment” and avoid some of the movement pitfalls that can burn people out? A: One reason I’ve been putting so much energy into a campaigning group I co-founded in 2010, Earth Quaker Action Team, is to have a kind of “laboratory” for trying out direct action in a way that doesn’t burn people out. Not only did we win our first campaign (a small group vs. the seventh-largest-bank in the U.S.!) but also invented specific practices as well as an organizational culture that inoculates against burn-out. The practices we invented are described in How We Win. The result: even since 2016 when our comrades have been stressing themselves out over Trump, our group has been moving steadily ahead with high morale and a new campaign. You can read about the campaign here: http://www.eqat.org. Q: I am part of a movement to pressure Wells Fargo and JP Chase to move their money from private prisons which are detaining our immigrants. We are struggling to active this economic leverage in a way that connects to the federal policymaking process and getting direct advocates to use this leverage in their work. Do you have any suggestions? I do love bank campaigns! Wells Fargo is especially vulnerable, since it gets huge publicity for behaviors that are revealed to be criminal! Unless you are a huge movement already, I would focus on one bank instead of two. Remember, the way the sun becomes most powerful is through focus. Laying a piece of paper in the sunshine will not burn it, but placing a magnifying glass above the paper that focuses the sun’s rays on the paper will burn the paper, evidence of the potential power of the sun. Most all of us have the potential of more power than we manifest. The power of focus is just as important in the lives of the campaigners. It’s a big opportunity to reduce the lifestyle of typical activist – “scatter” (a little bit on this cause, a little bit on that cause. . .) – and become a focused person, which increases power enormously. Focused campaigners think of brilliant ideas while showering, they can adopt the cultural norm we have in EQAT of “being on their growing edge” and learning new things, they can generate a degree of solidarity and inclusion among themselves that is attractive to others, and so on. Most of all, focusing means self-respect, big time; it means acting as if you really are worthy fighters who can take on a giant bank like Wells Fargo. If I’ve learned anything from Gandhi it is that he dwelt among people who did not respect their own power potential, who did not really believe they could beat the British Empire. That’s why he even opposed alcohol and drugs: he believed they brought down people’s self-esteem. He was supporting a belief in their own potential when acting in fully-present association with comrades. Whatever your conclusions are on alcohol and drugs, you get his point: believe in your inherent capacity for clarity and strength and continue to grow while helping others to build the container for that growth. A campaign can be that container. Q: While people are under a curfew, what sort of nonviolent action methods might be applicable? A: Here again a knowledge of history is amazingly empowering, because we can learn what’s worked for others and often can, perhaps with adaptation, work for us. Take time to scroll through “methods” in Gene Sharp’s volume two of The Politics of Nonviolent Action, and also – as close as your Internet – the website Global Nonviolent Action Database. On the home page of the latter you’ll see “Methods,” and you’ll see 199 listed with definitions. Click on each one that might have potential and you’ll get an array of campaigns (drawn from almost 200 countries) that have used that method in a variety of circumstances, including under dictatorship. For example, Chileans under Allende’s dictatorship joining together when the clock reached a certain time to stand in their windows banging pots and pans – a deafening sound of defiance that showed enormous unity (and in turn encouraging people to defy in more courageous ways like doing “quickie” street demonstrations). Another act of defiance I especially like was that practiced by Danish workers under wartime occupation by German Nazi troops. In this tactic, workers, who were supposed to work overtime to support the war machine, left their workplaces and went home early (en masse) because their gardens needed to be watered while it was still light. Their stated goal (“vegetables!”) was so basic and fundamentally “right,” and the tactic was practiced on such a mass scale, that it was impossible for the German commanders to crack down on it (without causing themselves even more trouble from a resistant population). Note that the tactic was playing on the psychology of the occupying soldiers who were showing signs to their commanders of weakening morale because of other things the Danish nonviolent campaign was doing. A lovely thing about our constantly analyzing the power position of the opponent, including their internal considerations of morale and cost (there is always a cost to violent enforcement), is that we get to choose in our repertoire of tactics which one to use when. The whole point of How We Win is to empower you to know that you can choose, that the better you understand the craft of nonviolent direct action campaigning, the more powerful you are even though your opponent wants you to think you are a powerless object who, at best, can offer a moral gesture. Q: My sister-in-law from Belgium says that Yellow Jackets movement in Europe is disruptive for nothing. Europeans are not like Americans, and to disregard Les Gilets Jaunes. They are disruptive for nothing. Are they? A: She needs to listen to what they are saying, which may be a jumble and self-contradictory but matter so much that they express them with passion. I constantly ask my fellow progressives in the U.S. when they last listened empathically to a Trump voter, and shame on them if they don’t know any! Q: Could George speak to the recently announced “Space Force” and the assumption by the President that space is already a hostile space? Q: Do you think that we could say that the emphasis on civil resistance is that we’re trying to establish a moral culture, which is lost in the face of corporate capitalism? Establishing what is just and what is not? A: It’s also my observation that corporate capitalism reduces human beings to objects, to mere factors in production, and by taking away our distinct humanness degrades also our culture. That’s why, as I show in the book that preceded this one, Viking Economics, the “Nordic economic model” (as economists call it) turns upside down the roles of capital and humanity. Instead of prioritizing capital (the daily or hourly reports from Wall Street, for example), and bending humans to support capital, the Nordic model prioritizes, say, Norwegians, and then uses capital to support Norwegian families and individuals and communities. The result, surprising to some, is that the Nordic economies do much better than free market-prioritizing economies like the U.S., decade after decade after decade – even though they have had far less wealth and natural resources and have always had to contend with being very small fish in the big pond of globalization and have come from a background of (say, a century ago) being in terrible shape. Norway now has more entrepreneurs per capita than the U.S., because keeping their highly-regulated market under the tight control of their prioritized humans, they have a better climate for start-ups – since creative humans inclined to business like to do start-ups! Sweden has more patents per capita than the U.S., for the same reason. Put humans first, and use capital to support humans. You don’t have to like every aspect of their ancestral or modern Scandinavian cultures to notice vastly different/humane approaches to incarceration, health care, etc. Google the ratings: “best place the world to be a mom,” “best place to be an elder,” “best place to be a child,” most advanced shifts in view of climate change, and on and on and on. I’m the only author I know who tells the story of how they made their dramatic shift from a century ago (when free market capitalism ruled) to today: through nonviolent direct action campaigns. (They also build a strong cooperative movement and developed a vision of what they were fighting for.) What Viking Economics shows is the best example in world history of the results, including cultural results, of a nonviolent revolution. So every time you get discouraged about some of the outcomes of nonviolent overthrows of governments, in Serbia for example or the Arab Awakening, there’s an alternative story that is waiting to be widely told!